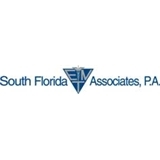 South Florida ENT Care Center 10 (Coral Gables) - Book Appointment Online! Our physicians are leaders in the medical community. We strive for exceptional patient care and outstanding service. Excellence in medicine and the achievement of patient satisfaction form the cornerstone of our success. Our services include diagnostics and treatment of a wide range of adult and pediatric ENT conditions including sinusitis, endoscopic sinus surgery, allergy testing and immunotherapy, head and neck surgery, sleep apnea and other sleep disorders, hearing and dizziness disorders, hearing aids, facial injectables, and rhinoplasty. Excelente atencion el Dr super profesional y cuidadoso, muy amable y nos explico todo perfecto. Altamente recomendable. I went to see Dr. Murray a month ago for sinus pain, hoarseness, and a chronic sore throat. My first visit with the doctor was very thorough and I felt he listened and understood my symptoms and discomfort. I proceeded with his advice and medication. I just had my follow-up and am happy to report 4 weeks later I feel so much better! I have another follow-up in 2 months but feel I am in good hands with Dr. Murray :) I will advise to complete the online forms prior to going to your first visit as it does save some time. You will still have 1 or 2 pages to sign once there though. Other than that the office visit and staff are nice and efficient. They also are quite accommodating as you can get an appointment rather quickly.